Sheltie Weight Out Of Control? Find Out What’s Healthy. 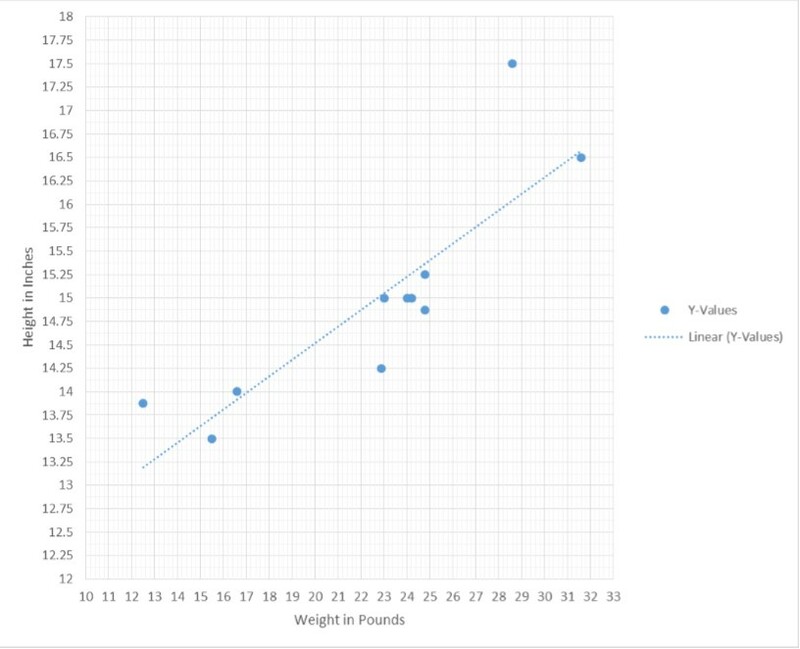 Actually, even more than height, “average weight” is a tough question to answer. The reason is, unlike a lot of breeds whose height is pretty stable from one dog to the next, sheltie size can be anywhere from 12 to 21 inches tall. So what is the right weight for a 12 inch sheltie is obviously outrageous for one that is twice the height. Which is why I've started my own Sheltie Weight Chart that I will continue to add stats. I've included it on this page in case you'd like to print it out and use it for yourself. Gently grab your sheltie around the ribs and run your fingers gently over the rib cage. If you can’t feel the ribs easily, (and I do mean easily), if you have to dig your fingers in to feel them, he is overweight. If there is absolutely no fat layer between your fingers and the ribs, he is underweight. Most shelties are overweight in my opinion. Occasionally even mine from time to time have to have their food adjusted. Although I have to say on the raw diet, it is rarely a problem. The type of food that is fed and also portion and frequency definitely play a big part in what your sheltie weight ends up. Think of it this way. .. When you eat dinner, look at your plate: meat, potatoes, veggies. They all fit on your plate. And if you were honest, you would say one plateful is sufficient for your health. Now look at your sheltie who is 1/10 the size you are and tell me why you feel he needs to eat as much as you. If you feed a raw food diet, and your dog is young, healthy and active like mine, figure about ¾ to 1 lb of meat and bone a day IF he is around 14-15” tall at the withers (shoulders). Taller dogs need more food. Can’t help you much with the kibble portions since I don’t feed that, but I can tell you that free feeding a dog (putting a bowl of food down and leaving it there all day) results in a sheltie weight way above normal, more times than not. Put the food down for 30 minutes. If the dog leaves some, pick it up and no more food til the next scheduled meal time. Trust me, he won’t starve. You on the other hand, may feel incredibly guilty. DON’T! Why Isn't There A Sheltie Weight Chart? I've just started one! No one ever kept track of sheltie weight the way they did sheltie height. But I’m working on it! Using my own shelties makes it slow going because I don’t have that many. But it’s a start. I’d be happy to add your dog to the chart, but I need to see how he feels around his ribs and measure his height. Which means I may end up having to tell you that your dog is overweight. No one likes to hear that…. When you go to the vet next, ask her, point blank, “Is my dog overweight?” She may hem and haw and try to be polite, but I would bet she’ll tell you the truth. Believe her if she says the dog needs to lose a few pounds.